Welcome to our Audio Sermon Page. 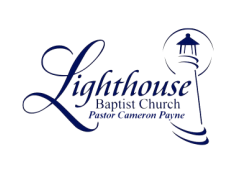 Each month we will put some new sermons from the Lighthouse Baptist Church pulpit that were preached here. One will be from Pastor Payne and another will be from another great preacher. "Lighthouse Baptist Church Last JNH"
Pastor Payne "Roadblock to Revival"